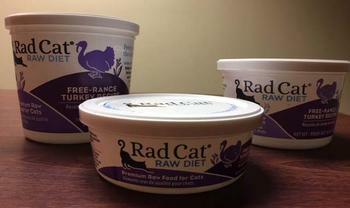 Radagast Pet Food of Portland, Ore., is recalling one lot each of Free-Range Chicken and Free-Range Turkey Recipe. Customers who purchased the recalled products should return them to the place of purchase for a full refund. Consumers with questions may contact Radagast Pet Food at 503-736-4649 Monday- Friday 9:00am – 5:00pm or online at www.RadFood.com.